Although the government’s approval of the nation’s first offshore wind project, Cape Wind, has stolen the green-energy spotlight as of late, another renewable energy source has been (literally) making waves off the coasts of Ireland, Hawaii and Australia. Wave power is a growing industry, albeit one that doesn’t yet provide competitively priced green energy. It is very capital intensive, which has prevented its implementation on a broad scale. Still, by one World Energy Council estimate, the solar-power derivative (waves are generated by winds, which are themselves a result of temperature changes) could one day generate up to 2 terawatts of electricity — a significant chunk of the world’s current 15-terawatt-per-year appetite. As with any emerging technology, wave power isn’t without drawbacks, such as fears that wave platforms and cables could hurt marine mammals in their habitat. Common concerns involve whales and dolphins getting tangled in cables (unlikely, given the rigid nature of the cables and the pressure on them, but definitely seen in other human endeavors) or colliding with the equipment itself. Mate and his colleagues are working to pre-empt this problem. 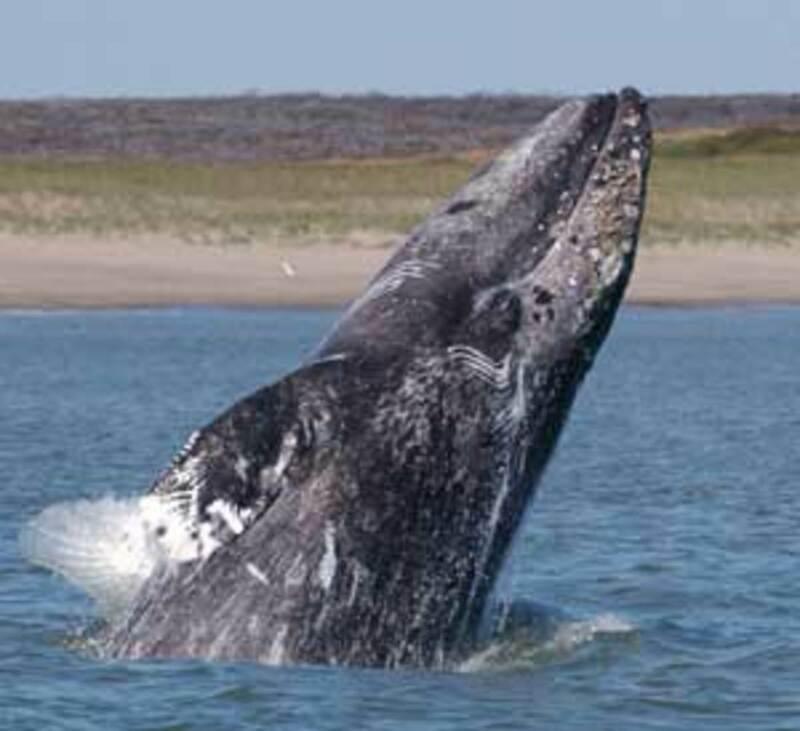 They plan to use a low-power acoustic device to deter migrating gray whales from cruising in a particular section of their normal path off the coast of Oregon. 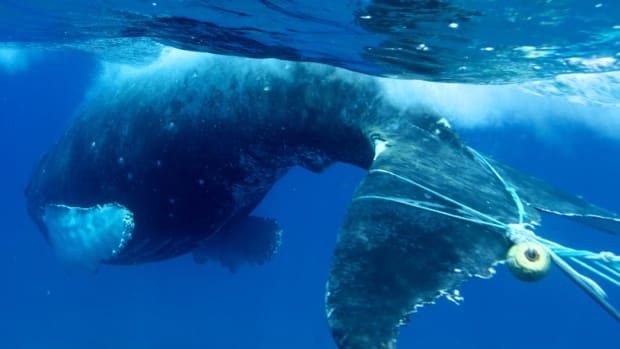 If successful, the device would add only one one-hundredth of 1 percent to their migration distance, pushing the whales about 500 to 750 meters off their normal route. 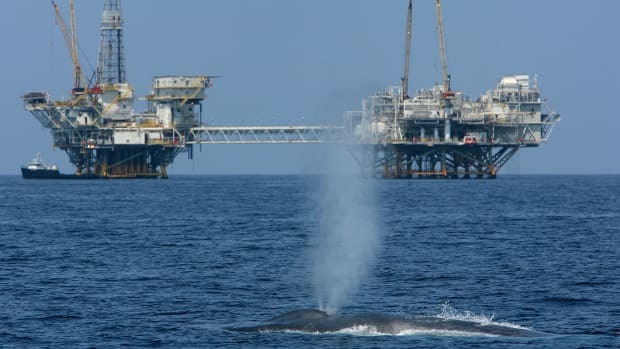 But it could have far-reaching implications for directing whales out of dangerous situations, ranging from an accidental foray into too-shallow water to into the heart of an oil spill. Wednesday, the university’s Hatfield Marine Science Center hosted a community forum to answer questions about the four-month pilot project, which is funded by U.S. Department of Energy. The experiment will begin in December and will take place in a near-shore area of the ocean west of Yaquina Head that could eventually be the site of a wave-energy plant. The first wave-energy project off the Oregon coast has already been approved, and, as Mate points out, almost all of the proposed projects fall within the whales’ migration paths. The Oregon State scientists’ device emits a low-pitched one-second "whoop" sound three times per minute, six hours per day. According to Mate, the sound will probably not even be audible to the whales unless they swim within 500 to 750 meters of the device, but it should be loud enough to subtly change their paths. Because the whales primarily travel in straight-line trajectories (as Mate found in a 2008 study he conducted with Joel Ortega-Ortiz), the researchers will measure whether they deviate from a straight path when the device is on. The team is not the first to use whales’ reliance on echolocation to protect them. As a 2008 Miller-McCune story documents, Christopher Clark, the director of the Bioacoustics Research Program at Cornell University, has been tracking right whale noises for more than 30 years. Auto-detection buoys in the Massachusetts Bay relay ocean noises to his lab in Cornell; after a right whale has been positively identified in an area, the lab sends out advisories suggesting that ships passing through slow down and look for whales. Unfortunately, the advisories aren’t always followed, and a 2005 study showed that less than 2 percent of ships voluntarily followed them. This is especially troubling considering that the right whale is endangered, and its population numbers between 300 and 400. If successful, Mate’s acoustic deterrent device could ease environmental concerns about the wave parks of the future and direct whales away from unsafe waters, be they ship routes or oil spill sites. Saving Whales by Putting a Price on Their Head? Scientists suggest that tradable harvest quotas may reduce the slaughter of whales.